A new biotope map for the area including Troms III and the shelf edge to west Finnmark is now available on MAREANO's map service. Biotopes are regions with similar communities of animals living on the seabed, in a similar physical environment. The biotope map, which is produced with the help of statistical modelling, shows the most likely distribution of biotopes on the sea floor. 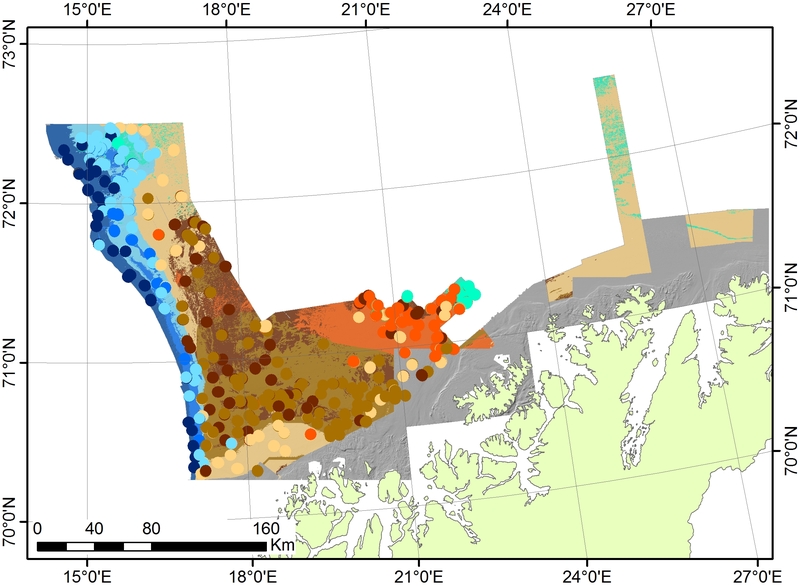 This is the first biotope map to make use of newly available oceanographic data as a basis for biotope modelling, together with geological and terrain characteristics. Our results indicate that oceanographic variables are very important for explaining broad scale patterns of biotope distribution. They also highlight the value of good oceanographic model data for biotope mapping. When mapping over large areas broad-scale oceanographic influences are very important for biotope distribution. 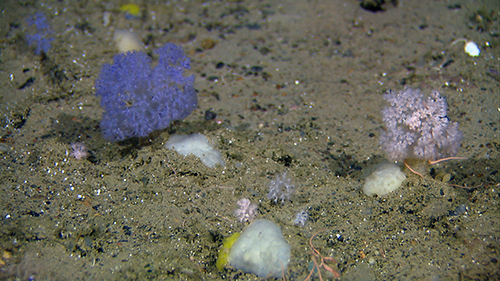 Temperature, salinity and current exposure provide the ’climatic’ setting for benthic communities. Although some of these influences can be incorporated into biotope modelling by the use of proxy variables e.g. orientation, over large distances it becomes more difficult to adequately capture biogeographic influences by seabed variables alone. It is therefore to important to combine information on the topographic and sedimentary conditions at the seabed with the oceanographic setting. Together we gain a more complete picture of the environmental conditions at the seabed which control which animals can live there. The newly published biotope map is shown in below. Further details about the modelling can be found here and the images below give you a flavour of some of the biotopes and their typical inhabitants.